Note: This page contains the old version of Creox software which is not maintained anymore. Further development of Creox now continues on github as Creox4 and is headed by Kasper Laudrup. This work aims to port Creox to Qt4/KDE4 and even to bring some new features to the box. Creox4 is still in an early stage of development. If you are a developer willing to contribute code or a sound processing enthusiast disposed to early testing, get in touch with Kasper directly. 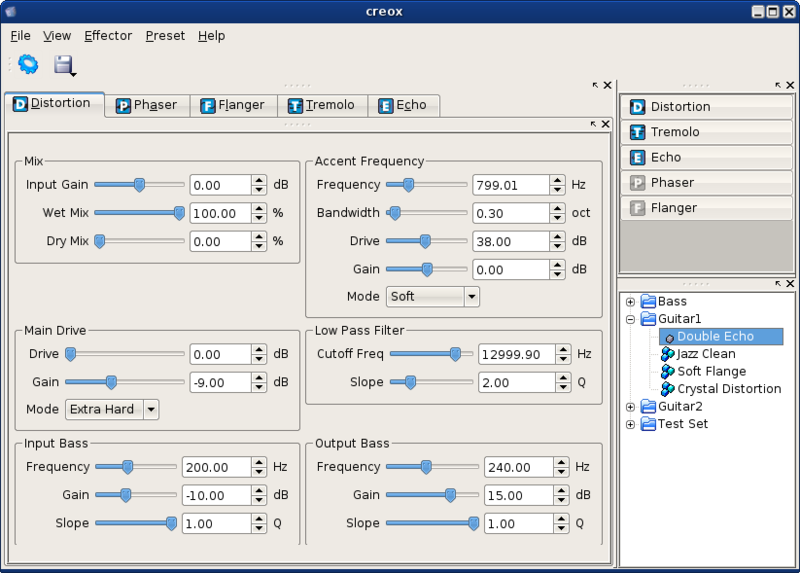 Creox is a real-time sound processor. 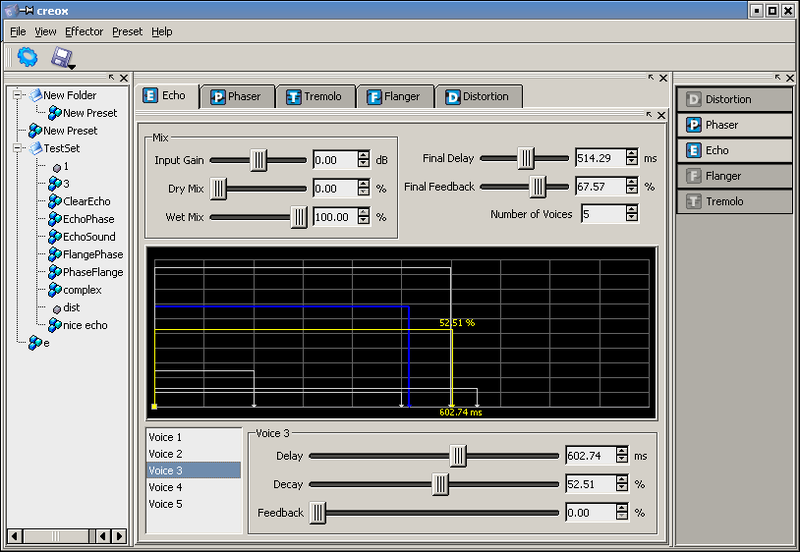 You can plug your electric guitar or any other musical instrument directly to the PC's sound card and start experimenting with various sound effects. 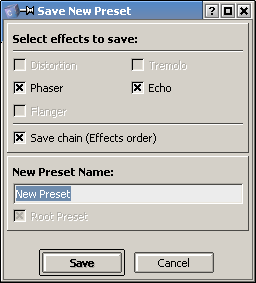 Creox has a nice user-friendly GUI, a preset support, a low-latency DSP engine and each effect parameter can be altered "on the fly". 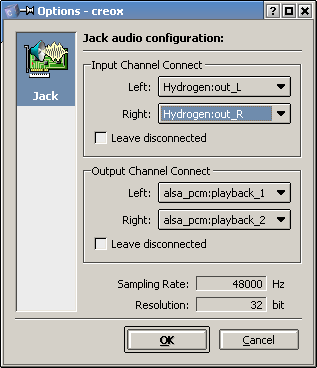 As Creox is a JACK application, the output sound can be routed to the other JACK-aware applications, and the audio input can be taken as the output from the other JACK client.